Our delicious meal plans and recipes let you know how the food we eat interacts with our genes to influence health. Prepare recipes from our Meal plans & eat nutrient rich foods. In The Genomic Kitchen, our meal plans and recipes uniquely incorporate the cutting-edge science of Nutrigenomics, a field that studies how the food we eat interacts with our genes to powerful influence our health. Genes are at the forefront of our health, controlling important processes such as inflammation, oxidative stress and metabolism. At The Genomic Kitchen we teach you how food “talks” to your genes to optimize your health. To help you translate this at the grocery store and in your kitchen, we created an Ingredient Toolbox featuring foods that fit into four categories we call M.I.S.E. 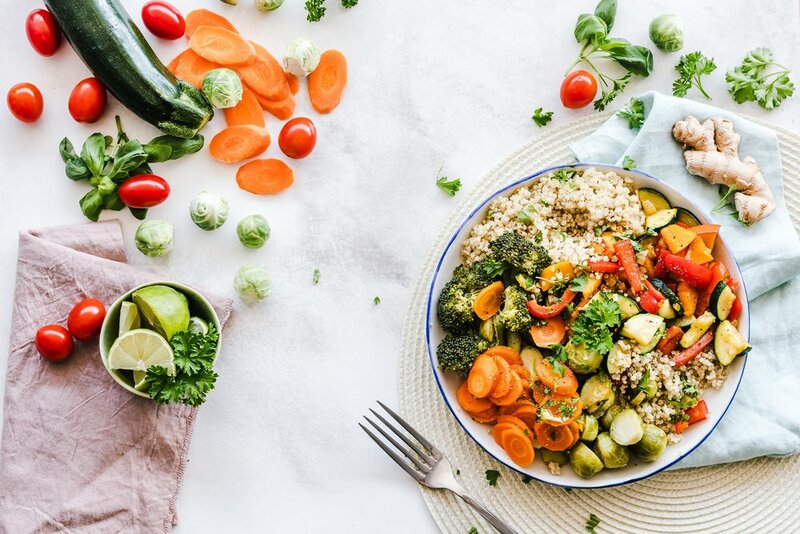 By choosing and preparing recipes containing a variety of these foods, you’ll feed your body with a variety of nutrient-rich foods that support influential "master" genes and your long-term health. To learn more about M.I.S.E., download our Quick Start Guide. For a deep dive into how food talks to your genes, enroll in our self-paced online course. Enjoy a flexible 3-day meal plan created by us for you. Our weekly plan features delicious recipes and meals to pick and choose from. Delivered each week to your inbox. Recipes reflect a variety of ingredients chosen from our Genomic Kitchen Ingredient Toolbox to ensure you get the food that fuels your genes. Features a smart grocery list for efficient shopping and complete nutrition information for the curious among you! Complete access to hundreds of our delicious recipes. Choose the ones that match the ingredients you love and the way you like to cook. Drag and drop recipes into a meal plan and generate a smart grocery list with one click. Need more help? Work with our Registered Dietitian meal planning and Culinary Genomics expert. Together we will create a meal plan that meets your health goals, food preferences, cooking style and budget. Need to look around at our recipes? Take three days for free to check everything out!